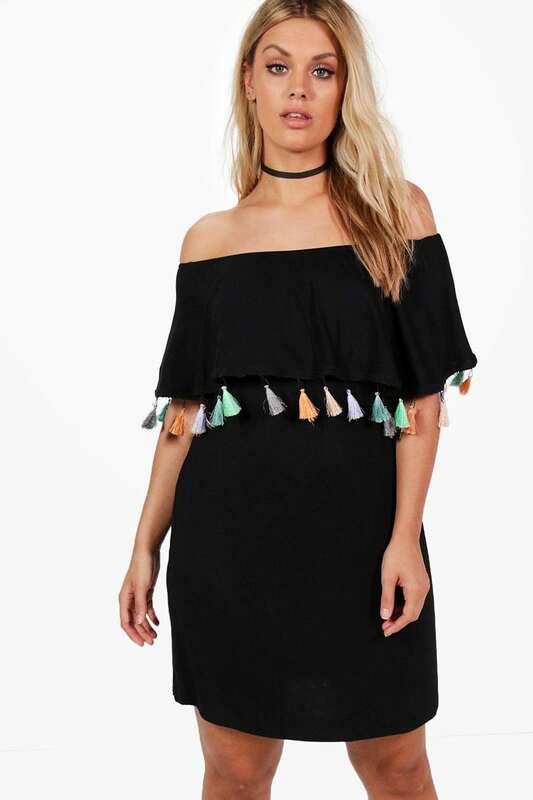 One fashion trend we can’t shake is the tassels trend. I wrote about it last fall, and it’s hot as ever for summer. At first, the tassels trend was only for accessories, especially bags and jewelry. For summer, tassels are on everything – dresses, tops, swimwear, shoes. Honestly, I love them. The more colorful the tassels are, the better! Probably my favorite part about summer fashion is the vibrancy of the fashion choices. Plus, I really love that everything is brightly colored, and have fun and even outrageous prints. I’ve already discussed some of the major color trends, like mango yellow and vibrant orange. Just like those very bright colors, I love the items that have tassels on them because they and charm, whimsy and a little movement to garments and accessories. If you’re not one to wear a dress that has tassels, you might instead like to add this trend by wearing tasseled earrings, shoes (how cute are these ones?!) or just carry an easy tote with a tassel or two. Are you a fan of the tassels trend for summer? What pieces do you like best?